A competitive offshore financial industry coupled with beautiful surroundings on one of the safest islands in the Caribbean, political stability through its relationship with the United Kingdom, accessibility of transportation, excellent communications infrastructure and the highest per capita income in the Caribbean. While achieving its commercial success, the Cayman Islands has maintained a high level of integrity. It is recognised as a leader within the Caribbean region in the fight against money laundering and adheres to all of the relevant international supervisory standards. Private and institutional investors are attracted to the Cayman Islands because of its professional infrastructure, business friendly approach, flexibility, an English common law framework, stability, well regulated regime and tax neutrality. With an average income of around USD$58,750, Caymanians have the highest standard of living in the Caribbean. 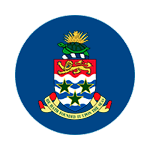 According to the CIA World Factbook, the Cayman Islands GDP per capita is the 14th highest in the world. The islands print their own currency, the Cayman Islands Dollar (KYD), which is pegged to the U.S. dollar at a fixed rate of 1 KYD = 1.25 USD. The government's primary source of income is indirect taxation: there is no income tax, capital gains tax, or corporation tax. An import duty of 5% to 22% (automobiles 29.5% to 100%) is levied against goods imported into the islands. Few goods are exempt; notable exemptions include books, cameras, and infant formula. The latest population estimate of the Cayman Islands is about 56,000, representing a mix of more than 100 nationalities. Out of that number, about half are of Caymanian descent. About 60% of the population is of mixed race (mostly mixed African-Caucasian). The islands are predominantly Christian. The Cayman Islands are probably the safest islands in the Caribbean.